NIFTY 50 is a diversified 50 stock index accounting for 12 sectors of the economy. It is used for a variety of purposes such as bench-marking fund portfolios, index based derivatives and index funds. NIFTY 50 is owned and managed by NSE Indices Limited (formerly known as India Index Services & Products Limited) (NSE Indices). NSE Indices is India’s specialised company focused upon the index as a core product. Basically Nifty tracks the market performance of 50 largest cap companies’ stocks of india, and hence, broadly reflects the sense of the Indian economy. Is NSE (National Stock Exchange) same as Nifty 50? No. Nifty 50 is a collection of large cap or in other words very big companies which may not collapse. NSE is a stock exchange where thousands of companies stocks are traded – bought and sold. NSE has more than 1,600 companies listed on its platform. 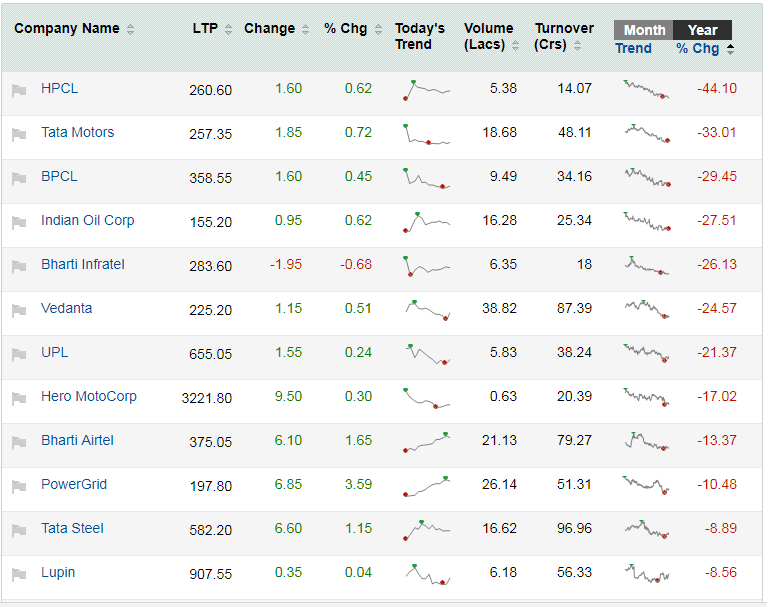 Nifty is a collection of 50 large companies which are traded in NSE. Similarly BSE (Bombay Stock Exchange) is also a stock exchange just like NSE where shares can be bought and sold for companies listed there. There are about 5,000 listed companies in the BSE. If you check the difference approximately 3000+ companies are not listed in NSE, hence not traded in NSE. Thousands of companies are listed in both BSE and NSE. If you want to buy stocks of a company listed in BSE but not listed in NSE – you have to buy from BSE exchange only and sell in BSE exchange only. You cannot buy a stock listed in BSE and sell in NSE, if not listed there. Companies listed in both NSE and BSE can be bought from one exchange and sold in another and vice versa. But this cannot be done intraday. Means you cannot buy a share in BSE and sell in NSE and vice versa the same day. This is arbitrage and hence not allowed. Full form of NIFTY is “National Stock Exchange Fifty”. When you want to see chart of NSE you will end up seeing charts of NIFTY everywhere. In fact you will see NIFTY being branded as The National Stock Exchange (NSE). Fact is NIFTY is only a part of NSE but index of NSE is calculated based on NIFTY, therefore when you search for chart of NSE you end up seeing chart of Nifty 50. People get confused thinking its NSE chart. 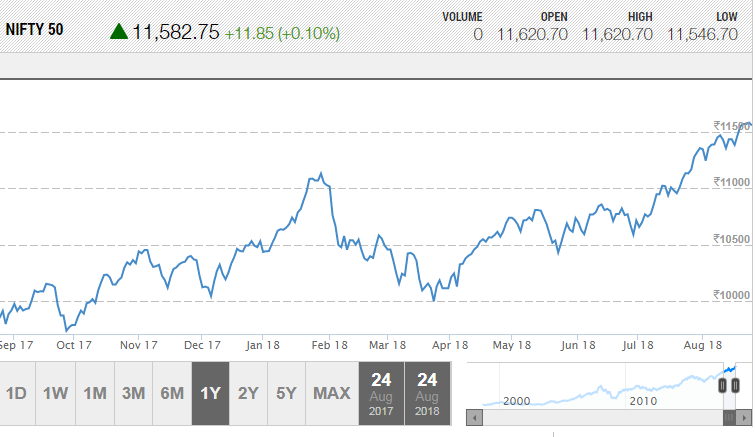 Market apps and websites show the Nifty 50 chart and brand it as NSE. 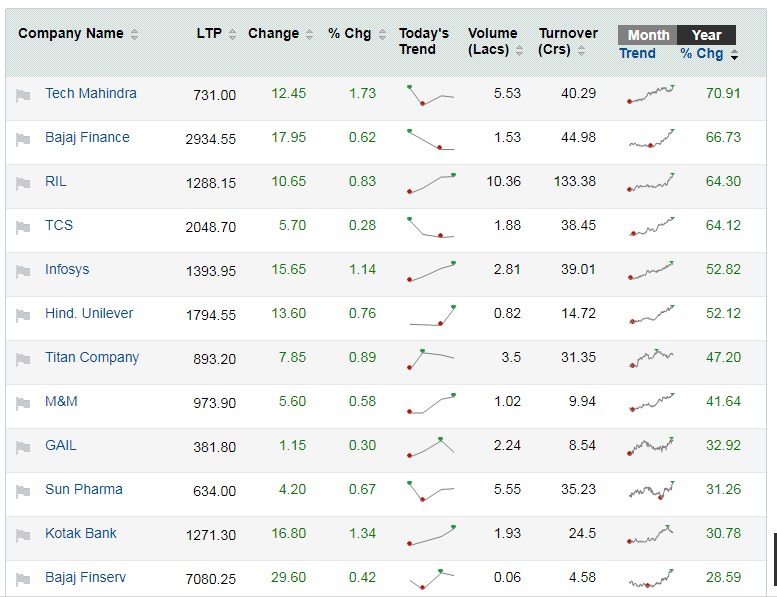 It’s not wrong as Nifty 50 is most popular and most traded index derivative (future and option). Now coming to the question of why NIFTY is rising since last one year. If the stocks in the Nifty 50 rise then NSE will also rise. Please note that by the time you see the list may change. On top of that some companies are given more weightage in evaluating the price of NIFTY. So if all the averages are taken along with the weightages of these 50 companies you will see that it’s a 20.39% rise only. Base year of NSE is 1995 and base value is 1000.20. NIFTY is calculated based on 50 stocks. List of 50 stocks can be found here. 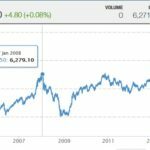 The main difference between SENSEX and Nifty is that SENSEX is the stock market index for BSE Limited, while Nifty is the stock market index for National Stock Exchange (NSE). SENSEX is comprised of 30 stocks, while Nifty is comprised of 50 stocks.